Classic Porsche 911s and Ford Broncos are basically unattainable at this point, while scores of elegant, good-condition cars and trucks stand idly by, largely ignored by the soaring market. If you've never taken a second look at these unsung heroes, they're way more affordable and underappreciated than you'd think. Rooting for the underdog has always been the cooler move, anyway. Why it's underrated: You shouldn't have to drive a boring car on a daily basis, and the classic muscle car market has some gems. The more obscure you skew from Camaros and Mustangs, the easier it is to find a ride with a glorious past, like the Mercury Marauder. Just as the more legendary (and pricier!) Pontiac GTO traces its roots to bland and practical DNA, the Marauder spawned from the same platform that gave the world the everyday Ford Galaxie. 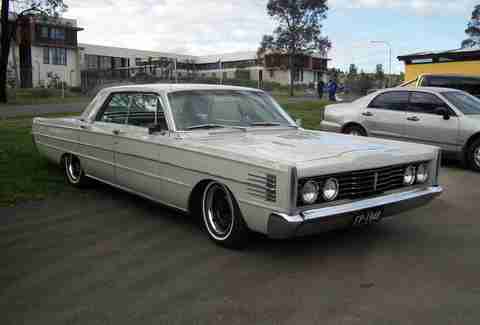 When it was new, its unsuspecting looks barely hinted at the V8 performance begging to be unleashed under the hood. Today, it makes for a badass daily driver. There's an even cheaper route, too: If this minimal-maintenance piece of American iron is too much for your starter classic, consider the seemingly forgotten Marauder reboot of the early '00s. Why it's underrated: I shouldn't have to explain that Volvos are historically underrated choices when it comes to classic cars. It has something to do with their reputation for placing precedence on safety and utility. 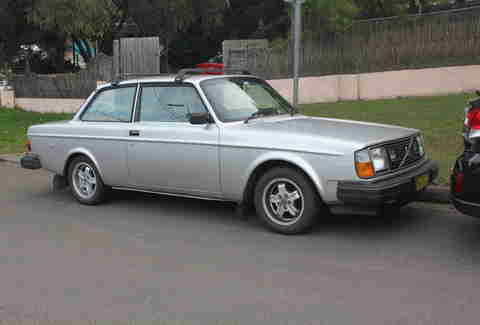 If a typical Volvo of the 1970s had as much soul as a bowl of Wasa crackers, the 242GT was the turbocharged herring that put hair on the chest of newly minted Volvo converts. Yes, it's boxy to an extreme, but it's also quick, stylish, and different than other desirable imports of the time -- including the classic Volvo you're supposed to love, the P1800. There's a quality alternative, too: If a 242GT, specifically, isn't available when you're searching, Volvo produced a lot of 200-series coupes, and they all embody the same offbeat spirit. Why it's underrated: The market for classic convertibles is defined by leaky, unreliable, mid-century British sports cars, but for years Italy had its own version of the fun-but-tempestuous convertible, called the Fiat 124 Spider. Yes, some of the engineering is slipshod, and, sure, there are myriad tales of quality issues, but it's all part of the charm that comes with owning a historic convertible. 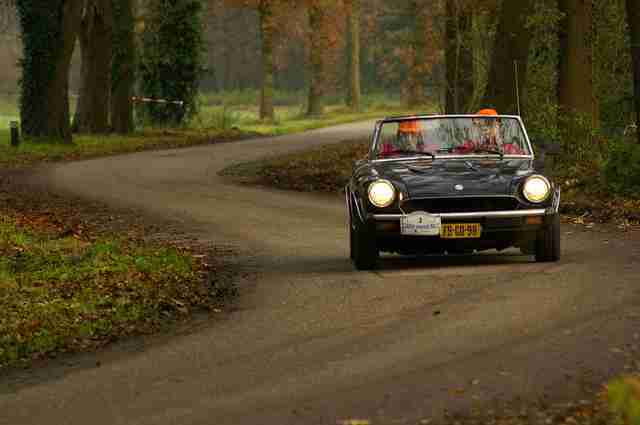 For all of the things that the 124 Spider is not, it's underrated and desirable. Bonus: With a reborn 124 Spider on the way -- a co-development project between Mazda and Fiat that's based on the Miata -- the value of an "original" 124 could soon be on the rise. Why it's underrated: Consider this an insider tip: this is the soon-to-be-cool SUV. As the remaining crop of Martha's Vineyard-worthy Grand Wagoneers and Land Rovers wither away with rust, the market is about to become red-hot for long-lasting brutes with four-wheel drive. That's where the first-generation Lexus LX 450, a Toyota Land Cruiser by any other name, comes in. It might be the offbeat choice right now, but it's a smart decision; buy a clean one while you still can. 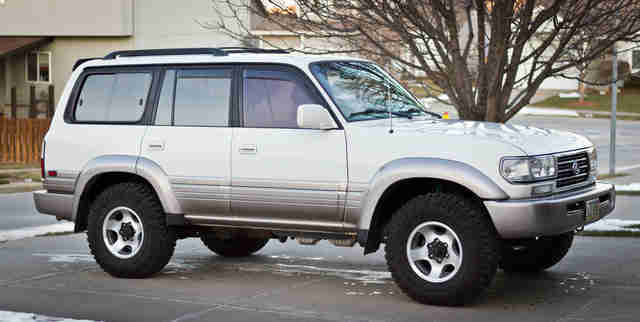 Best feature: This LX was the last of the Land Cruisers to feature true "full-time four-wheel drive." Why it's underrated: It's a known fact that stratospheric bouts of depreciation are a major factor in the luxury new car market. If you want to avoid hopelessly hemorrhaging your cash, look into sedans like the Mercedes-Benz 560SEL, which defined luxury in the 1980s and are available today for less than the cost of a 2016 Chevrolet Spark. The 560SEL was a sleeper of its time, and it remains that way today, checking all the boxes for a desirable performer. The reason none of your friends have bought one yet is likely because they haven't experienced the feeling of settling into a cruise at autobahn speed in a 20-year-old Benz -- a feeling that's pleasantly isolated, but engaged at the same time. Caveat: The cost of certain repairs on an old Merc can best be described as unholy. Make sure certain features, like the self-leveling suspension, are in drivable condition before you plunk down any money. If they're not, you run the risk of spending as much in maintenance to keep the once-top-of-the-line features in working order. Why it's underrated: Right before German cars truly became cool in the mid-1980s, Audi was barely on the map in the United States. The Coupe did a considerable job proving that the brand was more than a Volkswagen subsidiary. Today, it doesn't cost much at all to buy into Audi's heritage if you’re into the little Coupe. Its gorgeous fastback shape was quirky at the time, but is oh-so-desirable now, and it can play the part of reliable grand tourer with aplomb. The best part? The cost of entry into the Audi Coupe Klub is in the thousands, not the tens of thousands. Money in the bank: If you have slightly more to spend, consider an Audi Quattro. It's even more fun to drive, but it's also much more likely to go up in value before long. Why it's underrated: It's a hatchback. Or is it a van? Either way, it's not headed to the front of the concours line. 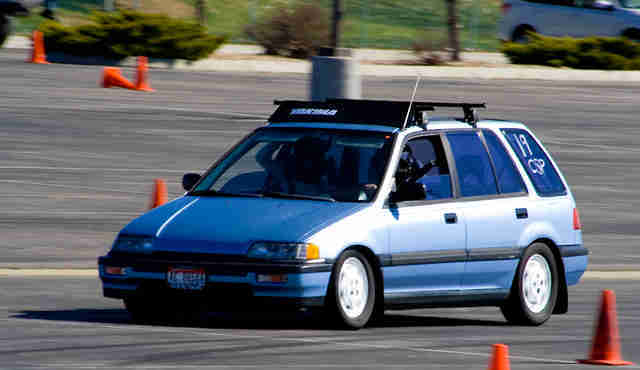 That's what makes the Honda Civic "Wagovan" so special. This rocket-shaped five-door was an early forebear of the crossover movement that's so rampant today, but no one really understood its significance in the late 1980s. The Wagovan is as slow as nails, it's true, but it's dead reliable -- and try to find cargo that won't fit in the back. The ones that haven't rusted away are available for under 10 grand, provided you can find one that hasn't been lowered or modded to an extreme by an overly enthusiastic high school kid. The one you want: Amplify the appeal of the Wagovan and find one with Honda’s four-wheel-drive system. Why it's underrated: Finding a good-condition pre-war pickup truck that runs can be kind of impossible. 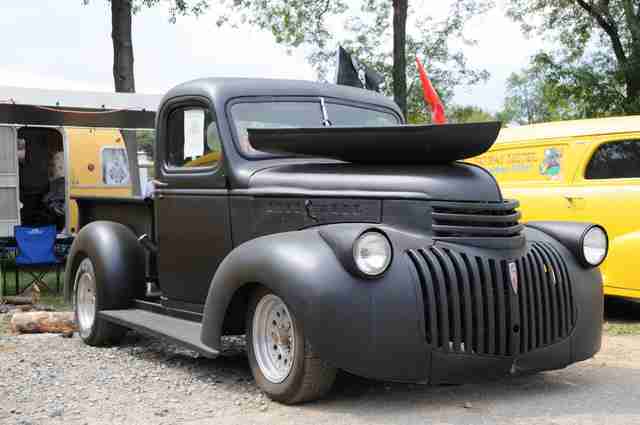 If you're willing to put in the hours to get one of these into drivable condition, giving new life to a classic like a Chevrolet (or Ford) pickup truck is time well spent. It's an underrated truth that you'll feel good about having done the work yourself. Also consider: Purchasing a 1960s or 1970s Japanese pickup truck. It requires a lot less effort to get one running, and because parts and knowhow are both readily available, it's not difficult at all. 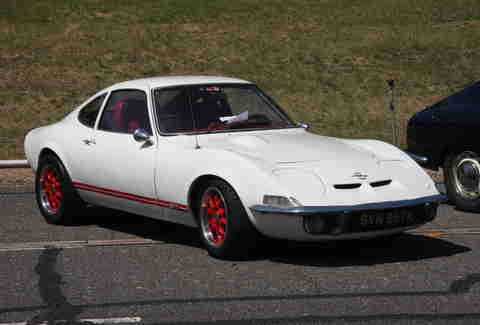 Why it's underrated: The Opel GT is the sports car your friends have never heard of. While they're all out scouring estate sales for mint examples of the BMW 2002, purchasing a GT is a great way to show them up. Think of it as the German version of the Nissan 240Z: a sporty hatchback styled to look even faster than it really is. Sold in America by Buick dealers in the 1970s, it gave muscle car enthusiasts pause for its looks and pedigree. (A German car from General Motors?!) It's not particularly fast, versatile, or comfortable, but there's a certain intangible charm to it that made the GT revered by its original owners. 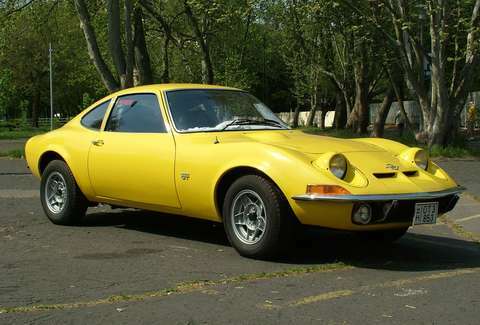 Extra credit: When you buy an Opel GT, you also buy into a seemingly endless amount of pub trivia facts associated with the car. It makes for useful fodder during long drives… with the occasional "maintenance" stop on the side of the road. Jeff Jablansky is a contributor to Thrillist Cars. Keep up with him if you can: @unclewithcars.